My mom is the QUEEN of stockings. Every year when I was a kid, I remember looking forward to the stockings the most out of all of the gifts, and that is because my mom enjoyed them so much. She was always able to find the coolest little things you never knew you needed! My favorite stocking stuffer was a gigantic 2-foot Sesame Street coloring book that barely fit inside. And Dad always went with the more practical items, like road flares when I turned 16, lol. The best part about all of it is that my mom put a limit of $25 on the stockings. So, when thinking of what to challenge the ladies with this week, it seemed like the perfect opportunity for an All About the Jack$son$ Stocking Challenge. I would be lying if I said that I didn’t go over the $20 for my daughter’s stocking. Because it’s her first Christmas, I may have gone a little overboard. But I was able to get everything in my sweet hubby’s stocking for under $20! A friend of mine recommended a great book for dads and daughters, Rules for my Newborn Daughter, which I found on Amazon for $8.98. 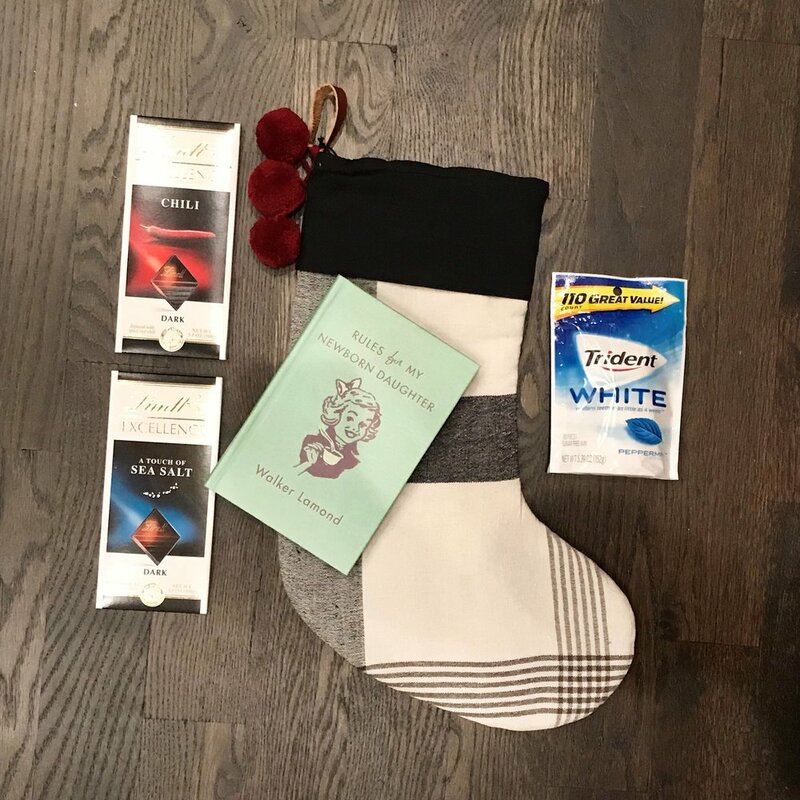 I always try to find chocolate to put in his stocking as well, and Walgreens had a two-for-$5 deal! The final item was gum—for $4.99—I am pretty sure he can go through one of these bags every two weeks. In total I spent $18.97, and I’ll add a sweet card to round it all off. 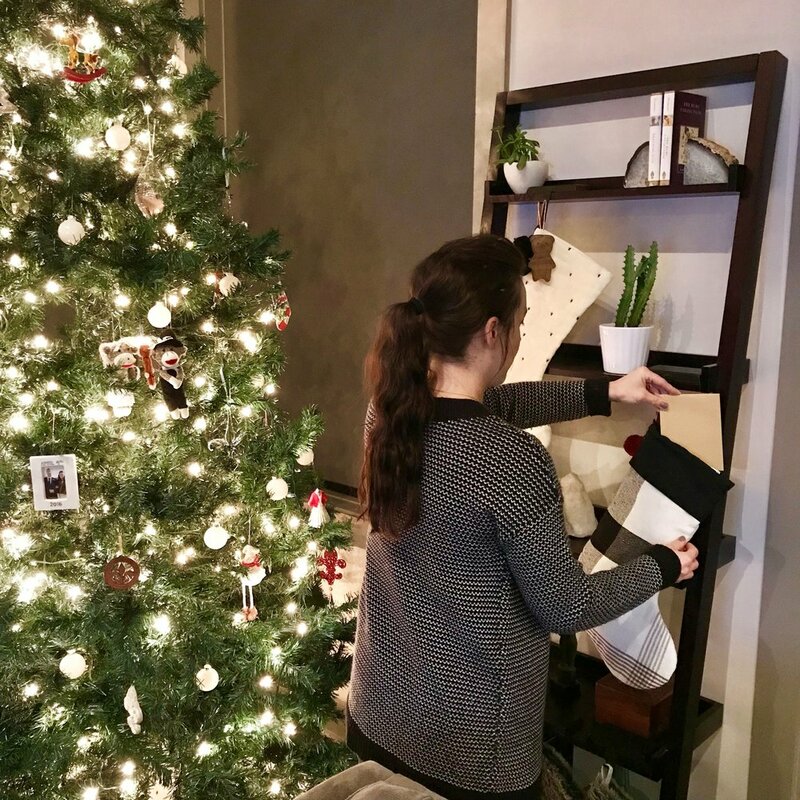 Stockings have now become one of my favorite things to shop for during the holidays, and the fun and challenge to stay under $20 is a true delight! I hope the other ladies had as much fun as I did stuffing stockings.